Paramount has delayed the premiere of its Heathers reboot, citing the Parkland shooting as the reason for the push. 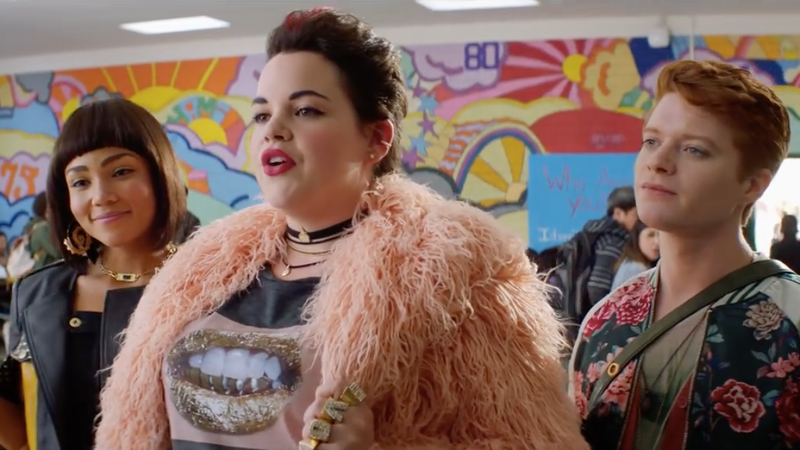 Paramount Network’s original series Heathers is a satirical comedy that takes creative risks in dealing with many of society’s most challenging subjects ranging from personal identity to race and socio-economic status to gun violence. While we stand firmly behind the show, in light of the recent tragic events in Florida and out of respect for the victims, their families and loved ones, we feel the right thing to do is delay the premiere until later this year. Considering Heathers is a dark comedy about teenagers murdering other teenagers for fun, the choice to push the premiere makes sense, though I’ll admit the timing of the decision is a little confusing to me. On February 21, Paramount made the Heathers premiere available online for viewers to preview—a week after the Parkland shooting, which happened on Valentines Day. It’s also worth noting that Paramount pulled the show after reviews started rolling in, most of which have been overwhelmingly negative. The Advocate even published a story noting how members aligned with the alt-right were in favor of the show, which replaces the white, preppy original Heathers trio with students who are genderqueer, plus-sized, and bi-racial. Whether Paramount, which is currently struggling to brand its new Paramount Network, was spooked by the negative reviews or is actually doing this because of the shooting, it’s probably for the best that a comedy about violent high-school loners holds off its premiere.